5 coaching sessions to give away! It’s been a great start to the year. All of a sudden I seem to have more young writers than ever taking advantage of my coaching and manuscript evaluation services. I’m so pleased. I don’t think there is anything I enjoy more than writing than mentoring up-and-coming writers. If you have been thinking about trying out my services, but still aren’t sure if it’s right for you, here is your chance to try it out free. Between now and March 15th you can enter the draw to win one of 5 private, 30-minute coaching sessions with me via Skype. 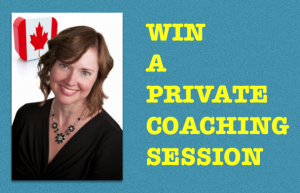 You can enter by sending me an email (my address is on the contact page) with the subject: COACHING SESSION GIVEAWAY. In the email, please include your name, age, country, and a sentence or two about what you would want to cover in your coaching session. Enter by midnight LTC time on March 15th. I will do the draw and contact the 5 winners on March 16th. This is just a one time entry right? Hi Alyssa. Once you send me an email, you will be entered. You do not have to enter twice.